Over four decades, the attorneys and staff at Kirsher, Winston & Boston, Law Corporation have served clients in California, throughout the United States, as well as in Canada and Europe, in matters relating to California law. After Wray E. Kirsher retired as a lieutenant colonel in the Air Force Judge Advocate Corp, he relocated and opened his law office in Mt. Shasta in 1970; a general practice emphasizing business, real estate, and estate planning. Wray also served part-time as a United States Magistrate Judge for the Eastern District of California, a position he held until he retired in the early 1990s. In 1979, Robert Winston opened his office in Weed, and Robert Boston did the same in Mount Shasta in 1980. In 1981, Winston & Boston, a partnership, was formed. That firm later merged with the Law Office of Wray E. Kirsher and in 1988 the three attorneys incorporated their practice under the name of Kirsher, Winston & Boston, Law Corporation. As a full-service firm, we assist clients with personal injury claims, wills, trusts, and estate planning and probate, guardianships and conservatorships, divorce and family law, evictions, general business matters and contracts, real estate leases, sales and development, homeowners associations, corporations and partnerships, public agencies, and litigation involving these issues in California courts. We do not, however, handle worker’s compensation, criminal defense, bankruptcy, tax court, or federal court cases. 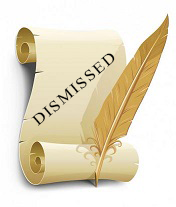 In response to a demurrer filed by Lake Shastina Community Services District legal counsel, Robert Winston, the Siskiyou County Superior Court has dismissed the lawsuit filed by Lake Shastina resident Corrine Moller against the district and three members of its board of directors. Winston is a principal attorney at Kirsher, Winston & Boston. He has represented the Lake Shastina disctrict for some 30 years and has extensive experience in public agency law and litigation.